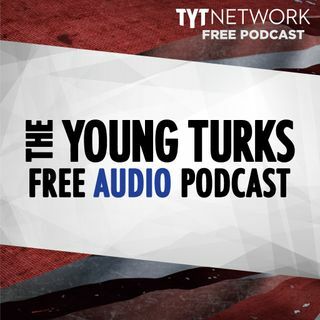 A portion of our Young Turks Main Show from February 23, 2018. For more go to http://www.tytnetwork.com/join. Hour 1: Kansas election. The Democratic Congressional Campaign Committee is taking fire from the left after months of relative peace, thanks to a document put online the night of Feb. 22 — a collection of opposition research on Laura Moser, a progressive candidate in Texas’s competitive 7th Congressional District. As Moser was attending a campaign event, the DCCC posted a short but ... See More brutal collection of hits on Moser that would be likely used against her if she won the Democratic nomination. The 7th District is one of 23 where Hillary Clinton outpolled Donald Trump in 2016, while voters sent a Republican congressman to Washington. “Democratic voters need to hear that Laura Moser is not going to change Washington,” the committee wrote. “She is a Washington insider, who begrudgingly moved to Houston to run for Congress.” Moser responded later Thursday night, saying in a statement that the DCCC’s tactics represented “why people hate politics” and hurt the effort to take Congress back from Republicans. Hour 2: Missouri GOP Gov. Eric Greitens was indicted on Thursday amid looming allegations of sexual misconduct and blackmail following an admission of an affair last month. He was charged in St. Louis with a first-degree felony invasion of privacy, according to the Missouri court system. In a statement Thursday, Greitens denied committing any crime and instead called the situation “a personal mistake” from his time prior to taking office. Russian athlete who wore anti-doping shirt tested positive for performance enhancing drugs. Minimal scientific case for emotional support animals.